Sharks are a vital part of marine ecology, keeping everything beneath them in the food chain in check. But they’re being caught and consumed at an alarming rate, and people aren’t even realising it. Randel Kreitsberg writes about Sharklab Malta founder Greg Nowell’s work in raising awareness and preserving these fantastic creatures. I’ll pick you up at 2.45,’ Greg says casually. ‘AM?’ ‘Yes,’ he smiles. There is a one hour gap, between three and four in the morning, before the Pixkerija (fish market) in Marsa opens to the public. This is the time when fishermen arrive with their catch, but their clients, chefs and managers of Maltese restaurants, have yet to appear. It is also when Greg Nowell, founder of the Sharklab Malta elasmobranch conservation group, and a small crowd of volunteers inspect the shelves and boxes of fresh catch. They’re looking for two local catshark species—nursehounds and lesser spotted catsharks—so they can cut them open and save the viable eggs still inside the females in the hopes of releasing them back into the wild. Greg Nowell is a diver whose ‘regular’ job involves electronics quality auditing and building renovation works. In 2011, while at a local fish market, Greg noticed something unusual. One of the catsharks on sale had an egg protruding from it. ‘I took it out, and it looked intact. I could see there was something inside,’ he says. He decided to put the egg in an aquarium to see what would happen, and while the shark pup inside developed successfully over the course of a few weeks, it eventually died before the two month mark. Looking back, Nowell can confidently say now that it had everything to do with temperature. ‘Originally, we didn’t know all the parameters we needed to develop the eggs. Temperature was the big eureka moment. Most of the eggs collected during the year’s early months started to develop nicely, but after some time most of them simply stopped – until we installed the cooling system! Now if we have an egg that starts to develop, it has a 95% chance of making back into the sea,’ Nowell says proudly. 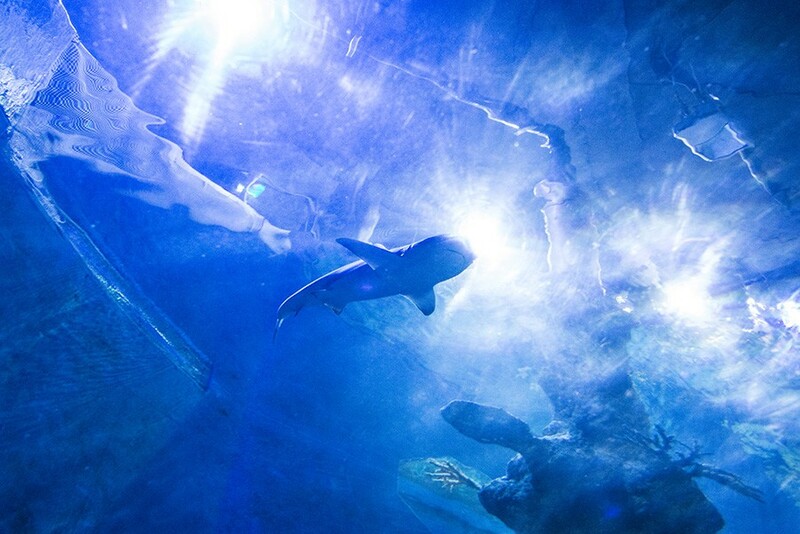 It took two years to successfully release the first market-sourced shark pup. Nowell released the baby himself. ‘I don’t know if it was saltwater in my mask or tears—it was beautiful!’ More than 280 shark babies have been released into our seas since then. Today, a lot has changed. The Sharklab team and volunteers proactively check all the egglaying shark species in fish markets before they’re sold. 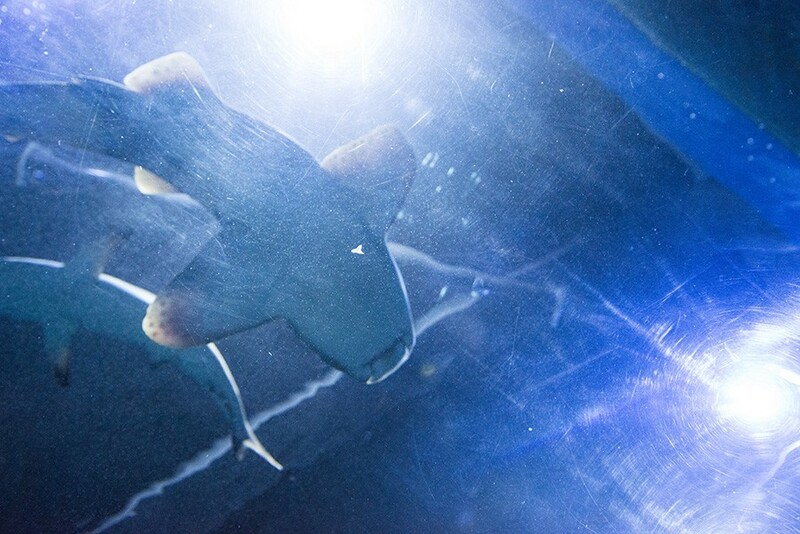 The shark pup aquariums have also moved out of Nowell’s living room and into tanks in the Malta National Aquarium, where citizens can learn and foster an appreciation for them. While the initial plan for our interview was to go to the fish market and save the eggs still alive in the female sharks, a storm put an end to those plans. The fishermen couldn’t go out to sea, so we made our way to the Malta National Aquarium instead. 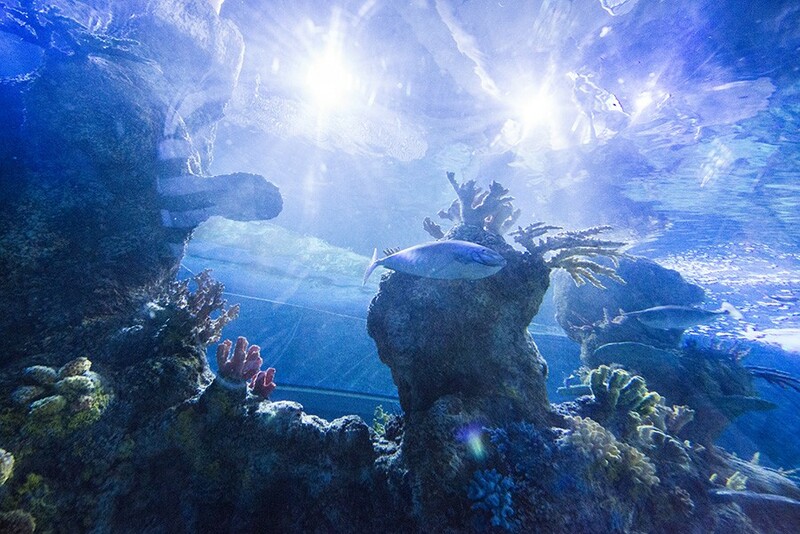 The aquarium looks different from others I have visited over the years. Yes, there are some tropical species and colourful Japanese Koi Carps, but the majority of species there are local. This includes 20 to 30 cm nursehound pups and their empty egg-cases. It immediately strikes me that the focus of the aquarium is conservation and education, rather than the display of pretty fish. Koehler says that most people don’t even know they are consuming shark. ‘Traditional Maltese fish soup, aljotta, often has several different species of shark in it,’ she says. ‘The issue is people don’t call them sharks—they call it fish soup. If you ask people whether or not they eat shark, their reply is: no, we don’t. But if you ask: do you eat mazzola? The reply is yes. They don’t know sharks are used in it,’ Koehler says, joking then that we should give up mazzola for good. But there is more to Sharklab than the sharks themselves, Nowell notes. Towards the end of our trip to the aquarium, he highlights the need for better ecosystem management. ‘The animals, as fascinating as they are, live in an environment,’ he says. That itself deserves attention. ‘Plastic is a major issue for all marine life, and if you start affecting any part of it, you’re affecting sharks,’ Nowell says. ‘We also need to be knowledgeable about the species we’re consuming. Overexploitation of fish species because we like to eat them has a direct impact on sharks, because they can get caught accidentally as bycatch.’ Being apex predators, sharks have a critical role in maintaining the species below them in the food chain. They remove the weak and sick individuals, all while keeping competitors balanced to ensure species diversity. Sharks are essential for ocean health, and they have to be protected. There is much to be done. And there are lots of opportunities to get started, as Nowell and his volunteers have clearly shown by empowering themselves and taking action. But as with every environmental issue, larger numbers make the loudest noise. And so it always boils down to a very simple question: Do we care enough to add our voices to the call?